Alfred Nunamaker was born in Akron, Ohio, and moved to Center Bridge, Pennsylvania in 1923. 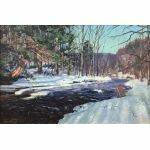 Under the tutelage of his father, artist Kenneth Nunamaker, Alfred began painting at the age of twelve and exhibiting at the Phillips Mill Art Association as a teenager. 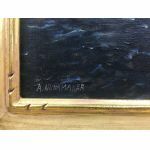 Clearly the youngest member of the New Hope Art Colony, by age fourteen Alfred was producing sophisticated atmospheric paintings on par with the seasoned veteran painters. 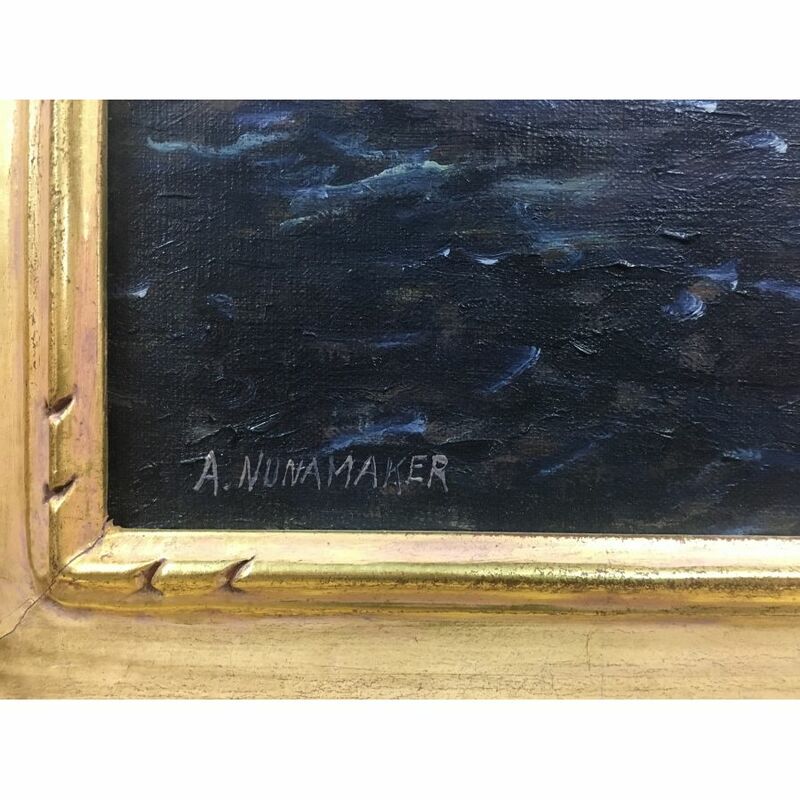 Nunamaker specialized in impressionist landscapes and seascapes, and was particularly fascinated by stormy, threatening skies, snowy hills and icy rivers. Most of his works were painted in river towns around the New Hope area. Following a two-year apprenticeship as a stained glass artist at the Sotter Studio in nearby Holicong, he moved to Philadelphia where he worked with his father as a commercial artist until his retirement.